The degree programs in Teacher Education prepare students to enter the teaching profession and also offer MSDE approved courses for re-certification for existing teachers. The programs have been developed to meet the specific transfer and career goals of all students, whether students are just beginning a degree, currently working in the education field, or hold a bachelor's degree and are seeking certification in the State of Maryland. Pre-professional program courses combined with general education offerings and field experiences equip students with both experience and credentials upon graduation. The Teacher Education Program offers the Associate of Arts in Teaching (A.A.T.) 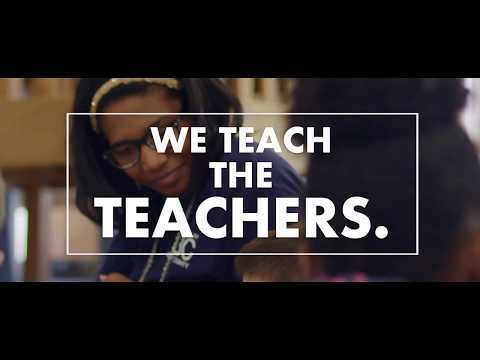 degree that provides a guaranteed path for students seeking a seamless transfer to Maryland four-year public, independent, and most private institutions in the teacher education major. The pathway to teacher certification for career changers provides access to courses required to enter the teaching profession in secondary education or special education. It is designed for people who hold a bachelor's degree and seek Maryland State Department teaching certification in order to be licensed to teach in a Maryland public school. This degree option is provided for students who changed their major from another program or degree option where they earned 35 or more credits. Generic Special Education-Early Childhood, in Maryland, includes birth-grades 3. Generic Special Education-Elementary, in Maryland, includes grades 1-8. Generic Special Education-Secondary, in Maryland, includes grades 6-adult.